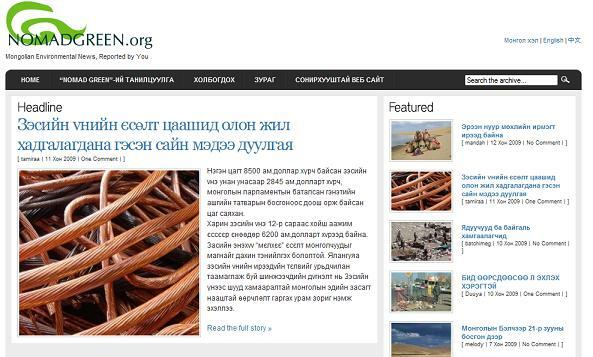 The editor’s team (including me) is encouraging participants to write their first post around themselves and their thoughts on greener and healthier Mongolia, and is also encouraging participants to give us hand written pieces or document file, in order to lower the worries of publishing on Internet. Last June, a team of NTV (Mongolian TV channel) reporters interviewed Portnoy Zheng about Nomad Green. In early July, the core team of Nomad Green (Portnoy, Otgoo, Odnoo) finally decided to hold another two workshops on July 29 and 30. And this time, instead of covering broad range of Mongolian environmental issues, such as air pollution, water pollution, deforestation, mining…, we wanted to focus on special topics that matters very much to people who live in this over-crowded therefore fragile city. 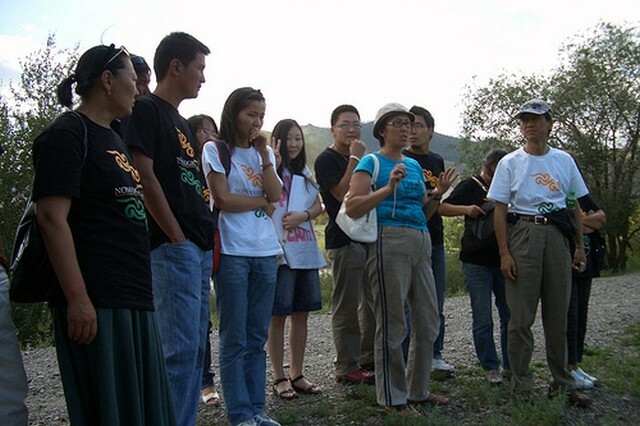 The two visits, one to the near-by basin of Tuul river, the other to the landfill site of UB, were really very helpful for all of us to grasp a fuller picture of each issue. 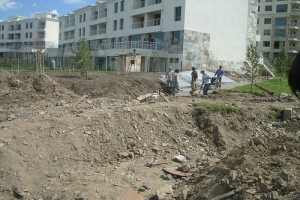 We saw how the watercourse was changed by the mining company which caused serious decrease on water volume. We also witnessed how the constructions built in the basin was corroding the river. According to the estimation from UB city government, the utmost amount of people that Tuul river can support is less than 2 million, and there are already 1.5 million. 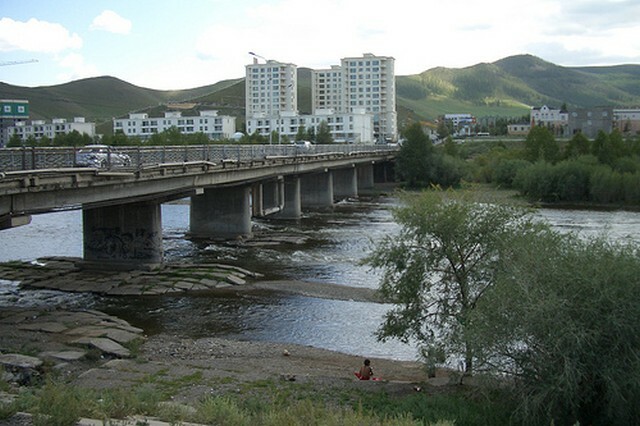 Since Tuul river and the underground water (that also come from the river) are the only water resources to support the whole population in UB, the protection of Tuul river is extremely vital. The visit to UB landfill site was also an important experience to all participants since none of them had ever visited the place before and didn't know where their trashes go. The landfill site was built with the support from Japanese government so the facilities are all new and really good, however, the logistics of waste transportation, the system of recycling, the regulation to reduce urban trash, and the citizens’ awareness to the issue are not matured yet, so the waste management issue has been the most difficult problem to city government for many years and still is. Without any available tool it is up to the translators of the project who will have to painstakingly translate selected articles. We hope that soon some more posts will be available in English and Mandarin. Here we highlight some of the posts which were already translated in English. Parents whose children are abnormal were mostly extracting gold manually and living near the water which was used for washing the mercury and cyanide. Read more of his posts. While I was driving along Orkhon river on my way to the waterfall, it looked very muddy and dirty but I heard it had been raining recently so I believe it must be the rain water that changed the color of the water. When I almost reached the waterfall I saw the river flowing in yellow brown color and became very narrow. 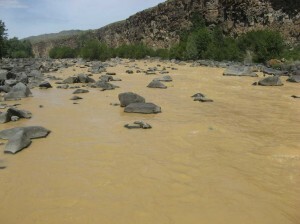 I asked the family I am staying with, they said there are two gold mining companies at the head water of Orkhon river and these companies opened their dam filled with waste water from gold mining two days ago right after rain. Locals said that they usually dump waste water contaminated with mercury and cynnade that used for extract gold. More worryingly 31 percent of Mongolian territory have been issued Mining Licenses, reports Otgonsuren Jargal. 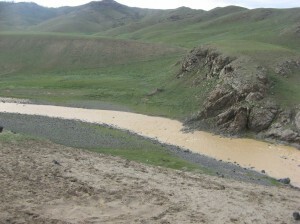 She also informs that Mongolia is facing desertification as rivers and wetlands are drying up. Batzul Chimeddorj (Bazu), a recent university graduate asks which are more destructive – human beings or pest insects? 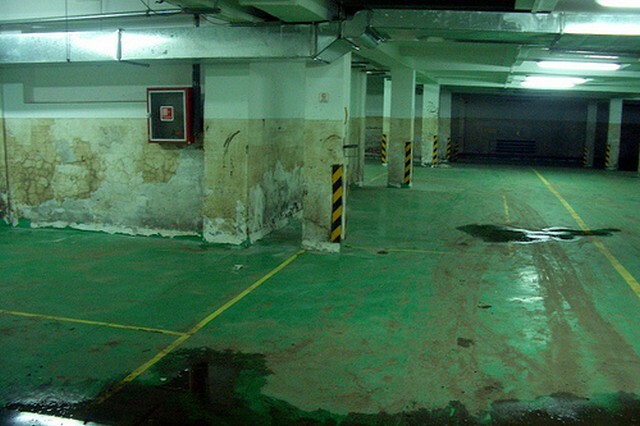 Oyunmandah Byambasuren (Mandah) points to the fact that the significance of the building water pools in Ulaanbaatar is that it makes the air humid. The blogger also quotes a Member of Parliament to inform that Uranium is the most unharmed and the cheapest source of energy. 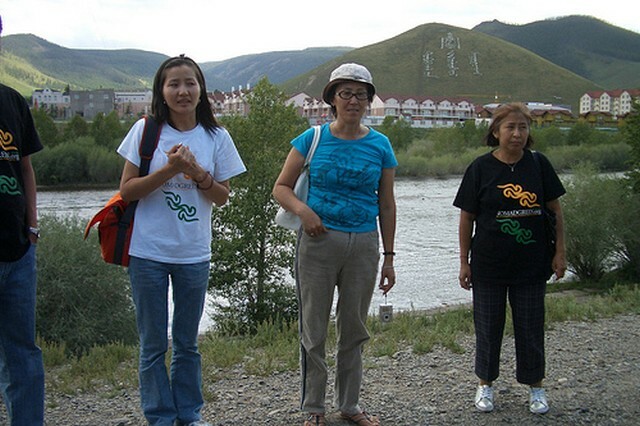 The next goal of the project is to translate Mongolian language articles into English and Chinese and to arrange workshops in other cities of Mongolia. For more photos of the workshop please visit this Flickr album. You can also follow Nomad Green on Twitter.